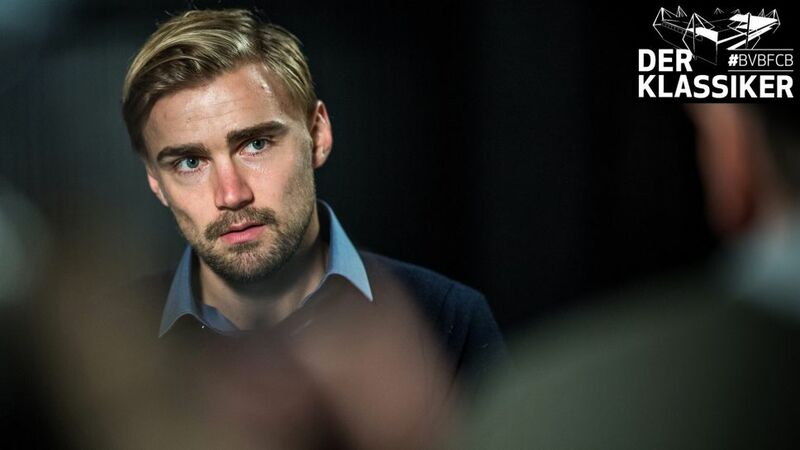 Marcel Schmelzer says it is high time Borussia Dortmund came out on top of Der Klassiker as they prepare to meet their old rivals FC Bayern München this weekend. The two clubs, who have shared the last seven Bundesliga titles between them, lock horns in an eagerly-anticipated encounter at the SIGNAL IDUNA PARK this Saturday (kick-off 18:30CET/17:30GMT) and Schmelzer believes that if the Westphalians are at their best, they can end a 31-month wait for a Bundesliga victory over the record champions. "We'll definitely have to switch our focus back to the defensive side of things," said the 28-year-old, who is back in full training after missing Dortmund's last three games due to an adductor injury. "I think the best example for that will be on the other side of the pitch on Saturday. [Arjen] Robben and [Franck] Ribery didn't used to like to defend – they probably still don't – but they know it's extremely important if you want to be successful as a team." That is not to say Pierre-Emerick Aubameyang cannot dream of repeating his four-goal salvo from a fortnight ago, only he may have to be more patient and wait for – and seek out – his chances. After all, BVB have scored more goals in the Bundesliga this season than any other side and are yet to suffer defeat on home turf in 2016/17. Yet whatever the outcome, this match is not to be missed! Head to the Dortmund versus Bayern Match Centre for more!